Earlier this year Calor announced that their 6kg Calor Lite (the ‘6kg Lite’) cylinder was to be phased out and replaced with a new improved version. Calor also reassured existing 6kg Calor Lite customers that they would be able to swap this next generation of leisure cylinder, when it’s launched, completely free of charge – as long as the original 6 Lite Cylinder Refill Agreement (sometimes known as a 167) , an alternative receipt or proof of 6kg Lite purchase is shown. Work is already underway to make improvements to Calor’s leisure cylinder and the company has conducted a research programme, with input from the camping and caravanning community and caravan manufacturers to make sure the new product meets customers’ needs. “Back in May, we announced plans to change our 6kg Lite cylinder, as we have concerns about the longevity of the current model, with a higher number than expected failing our routine quality inspections,” said Alistair. “As a result, it’s impractical to invest in any further stocks of a product we intend to change, so we have increased the volumes of standard 6kg cylinders available to the market and put in place a customer exchange programme. “We appreciate that this has caused some uncertainty and inconvenience and we apologise for this, but we are confident that our customers will still be able to obtain a suitable alternative and that, in the long term, we will be able to offer an improved cylinder solution. “We’ve also increased this year’s investment in our existing stocks of standard 6kg models to £1 million, our largest investment in this cylinder in recent years,” added Alistair. “This is to make sure there’s maximum availability throughout the UK while we work on the development and phase-in of the replacement model for the 6kg Lite. 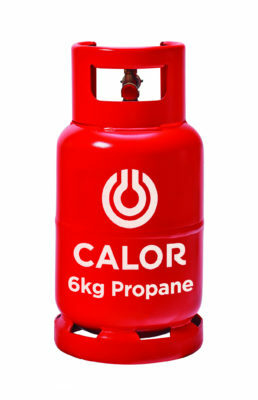 Calor remains committed to selling and supporting the 6kg Lite cylinders, and say there is still some stock availability plus it’s still safe to use. All stockists have been advised that they should always exchange a 6kg Lite for another of the same wherever possible, however, customers will be able to exchange for a standard 6kg cylinder if no 6kg Lites are available at the time. It will then be possible for these customers to switch back to a 6kg Lite if they are available at the time of the next exchange. Alistair thanked Calor customers for their patience during the transition period and apologised for any concern or confusion that may have been caused. Customers wanting to find out more can visit Calor’s dedicated question and answer section on their website. Safefill.Doesn’t get any better.now they have Morrisons on board.get your lpg for 55p a litre.under £8 to refill a 7.5kg bottle.calor lite holds 6kg and you pay £25 for a refill. Only use a calor lite as a back up now.get a safefill bottle.the best way forward. Liz you keep using and reiterate the standard Calor statement but that does not answer the exchange without the 167. I was given a starter pack which included Calor Gas bottles (2) with my first Motorhome in 2008. Apart from the original receipt for the New Motorhome which does not go into details such as which tyres were supplied, which sat nav etc, So how do I stand. I was not given a 167 and as such could only contact Marquis dealership for them to somehow provide me with a detailed inventory which included every item supplied with the Motorhome including such as which make of toilet chemicals and cleaner products. The chances of getting such a detailed receipt some 10 years plus ago is I suspect at the least Zero !!!!!! I understand your frustrations Michael. You would need to contact Calor direct to try to resolve this – 0800 662 663. Calor are ripping people off. I’m now using Safefill. But still have two 6kg calor light which i will keep and when there new bottle comes out will then take then back and demand exchange. Gone down the safefill route.pay for the bottle.then less than £9 for a 7.5kg refill.less a third of the price of calor. The issue here is money as usual. Calor say that the bottle is safe, but requires changing more often than a regular weight cylinder. What Calor should have done, in my opinion, is continued to make extra current 6kg lite cylinders until the new version is ready, but this would have cost them money. Instead they have removed product support way too early, to save a few quid, whilst telling their customers that they are committed to the product. Sorry Calor, but I don’t believe you. When will the new cylinder be ready? It would appear then that you can swap any of these cylinders for any one of the others. I would take that to mean that I can swap my Calor-lite cylinder for a 6Kg all metal cylinder & then, in future, swap a 6Kg all metal cylinder for a Calor lite cylinder (or whatever they call it) without any problems. Maybe we should all have a copy of this page in case it is “altered” later on. Agree with the majority of responses. Calor have designed an inadequate bottle and should if they are a professional company exchange All lite cylinders with a safe model. Question, are they saying the cylinders are dangerous and that people may be in danger due to there poor design? Calor say the cylinder is completely safe. All cylinders supplied and filled by Calor are subject to a rigorous inspection at their filling plants to make sure they’re always completely safe for use. 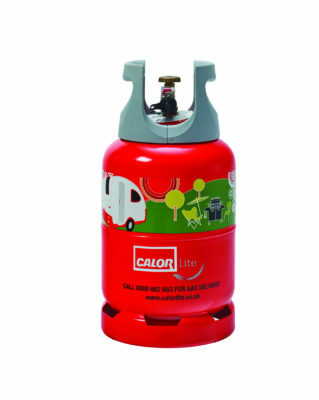 The Calor Lite can be exchanged for the standard 6kg cylinder. How many people still have original receipts? Many bottles will have been bought second hand. This is the very reason I have gone down the road of the refillable bottle . Bought a Safefill bottle and am delighted. I have just read the Calor statement about the new Calorlite bottle. It states quite clearly that we will not be able to swap to the new bottle without a receipt or 167. Like so many others, that leaves me to shell out nearly 80 quid ( we will all need at least 2 bottles) and then the cost of the gas because so many of us got a swap for an ordinary bottle or they were on the van when we bought it! By having a bottle proves that you bought it and therefore should be entitled to a free exchange. I shouldn’t matter if you have a certificate or not. I and many of my friends are in the same position as some readers above. No agreement and no receipt. I certainly won’t be renting a new cylinder at £39.99. So will I continue with a standard heavy cylinder? – No. Well, if I do, it will certainly not be a Calor one. Methinks that this blinkered idea of Calor’s will lose them lots of customers and in the long term lose them more income than they could potentially gain from charging £40 for the new cylinder. For me, it shows the short sighted malaise that exists in many companies nowadays. OK, so those other companies that supply gas are not as widespread, but they do exist and you can find lists of suppliers on t’interweb, and they are significantly cheaper than Calor. And it might be worth getting a third cylinder from Flogas or the parent Alta (only £20) so that you can always go away with enough gas. Calor in Derby Road Liverpool – I needed a refill and was told that they don’t do the lite cylinder any more, so I had to take a steel one, Having had the lite one for several years I do not have the original receipt, so what chance have I of getting a swop when available? Seems a reasonable response from Calor. What a load of coddler, Calor should honer all customers with 6kg cylinder regardless if they have the paper work or not, we have purchased there cylinder so what is the problem. ” CALOR GET YOUR ACT IN ORDER.” And don`t make more money out of us. Had my calorlite given to me when i bought my motorhome from a dealer so have no reciept etc. How do i stand ?? Doesn’t seem much of an update, I am pretty sceptical that Calor will have a replacement lite cylinder available in 2018, and presumably if they are making so many more steel cylinders, why would they then make these redundant with new lite version. We struggled to find Lite cylinders before this, so its presumably going to be near impossible, and as others have said I don’t have receipts/paperwork showing lite cylinders, so if I am forced to swap to steels I won’t be able to get back to new lite cylinder without paying for new cylinders ! So, if I don’t have a receipt for the purchase of the first cylinder, I can’t get a replacement? But I got the current cylinder as a swap for the first one which was faulty according to Calor. I have no receipt. So does this mean I have to BUY a new one? Not fair. May have to take legal advice on that! They confirm that all existing 6kg Lite customers* will be able to swap to the new cylinder, when it is launched, completely free of charge. *Original 6 Lite Cylinder Refill Agreement (sometimes known as a 167) required or alternative receipt or proof of 6kg Lite purchase. Q: Will I be charged for a 6kg cylinder when I only have a 6kg Lite to return? A: No. The standard 6kg is freely interchangeable with the 6kg Lite, so if you have an empty 6kg Lite then all you will pay for is the gas. In the event that you have no empty cylinder, then you will need to take out a new ‘Cylinder Refill Agreement’ (CRA) for a one-off charge of £39.99, as well as paying for the gas.